Premises liability cases describe the duty of care a property owner or manager must extend to it’s guests to avoid being found negligent. This analysis can be tricky. For instance, how far a hotel must go to put in place protective measures protecting guests against bed bugs largely depends upon demographics and the high-risk nature of a particular property. Courts generally balance several factors in determining whether the hotel exercised reasonable care in avoiding a negligence finding. Among those facts are (1) the foreseeability of harm or a bed bug introduction; (2) the purpose for which the guest entered the hotel; (3) the time, manner and circumstances surrounding the guest’s use of the hotel; (4) the intended and anticipated use the guest will use the hotel for; (5) the reasonableness of the bed bug inspection, repair-remediation or warning; and (6) the opportunity and ease of repair or correction or giving the warning. Naturally, how a hotel must act to comply with its duty has evolved over the years as bed bug Integrated Pest Management practices and technology has improved. For instance, the pest control industry, and thus their hotel clients, were on a “reactive” based protocol when attacking a bed bug issue 10 years ago. As the industry progressed, pest management professionals began implementing “inspection” based approaches to managing bed bugs for their customers. Inspection based procedures concentrated on the manner and frequency a hotel inspected all areas of the hotel from the rooms, laundry, and common areas as well as use of interceptors and having their pest control companies conduct general inspections of the hotel’s premises. Today, new technologies and products available to hotels have increased their duties to their guests to include preventative measures. For example, Active Mattress Liners can be installed on mattresses and/or box springs, which provide prevention and control of bed bugs for two years. Further, silica-based insecticidal dusts can be applied around perimeters offering extended residual control for months. Get started with Bed Bug Prevention, click here https://hotelbedbugprevention.com/preventionstartshere/. 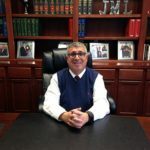 Written by Jeffrey M. Lipman, Attorney-At-Law and Polk County Magistrate Judge. 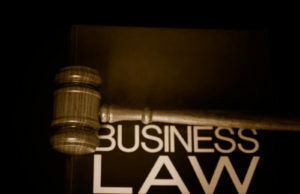 Lipman Law Firm has a unique area of practice involving consumer class action litigation specializing in class action bed bug litigation. Jeff Lipman is a frequent speaker throughout the United States including the National Pest Management Association and Entomological Society of America.